This is the best if you have a cast iron pot. If you have no one use a thick hard pot. Cut the meats into cubes (about 3x3 cm). Heat the oil (or fat). Put the meats to the pan and roast them in all sides until white, during stir them. Add some water but not too much (about 2 dl), and cook the meats under the cover for 60 minutes. Chop the onions and garlic finely and add them in the stew. Add salt and peppers too. Put some water again, and cook it for 60 minutes again (or until the meats almost are cooked). 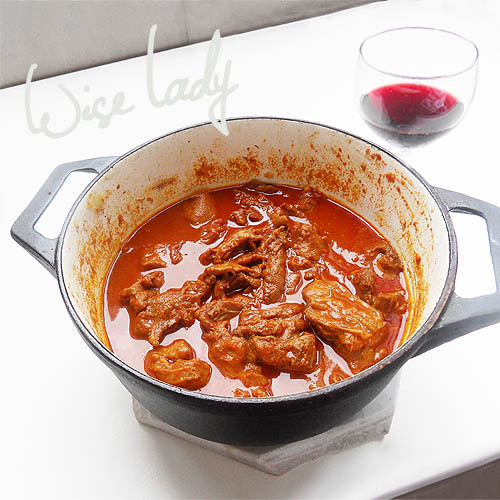 Pour 1/2 dl of dry red wine in the stew. Cook it for 15 minutes. Add the ground paprika too but cook the stew only 5 minutes. 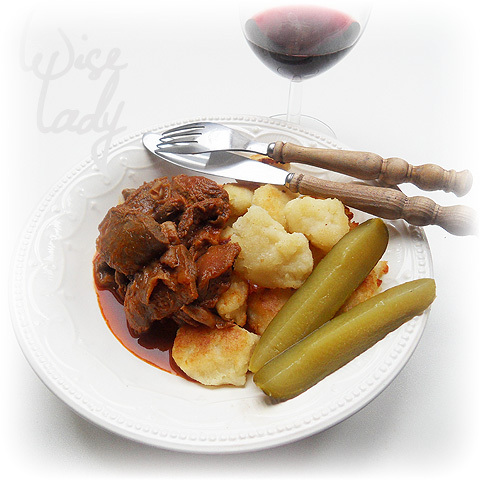 You could eat the stew with boiled potatoes, noodles or pasta. 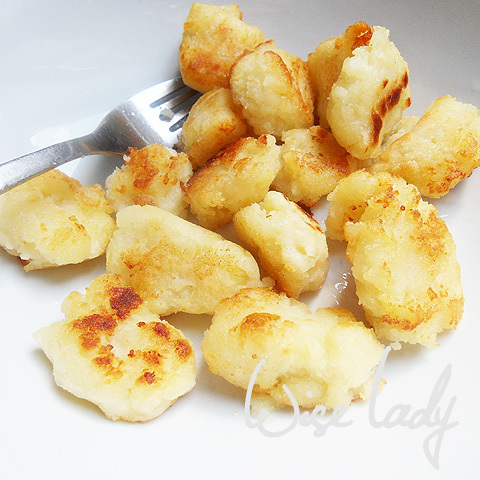 Dödölle is made from potatoes puree and flour. The noodles are roasted on fat (or oil). Thank you for posting recipes from Hungary. I'm confused about roe though. I thought it was fish eggs. I read Hungarian ok, so if you would put the Magyar name there, it would help me. Again, I'm so happy to see this information online. Thanks. Thanks for your comment. You are dead right. I corrected mistake.